Parkinson’s disease is a chronic neurodegenerative movement disorder affecting people mainly beyond their 50s. Geriatric patients with Parkinson’s disease experience a specific profile of comorbidities. Multimorbidity and resulting polypharmacotherapy are frequent at this age. Comorbid diseases, widely spread, involve arterial hypertension, ischemic heart disease, heart failure, atrial fibrillation, polyneuropathy, diabetes mellitus, cerebrovascular disease, sarcopenia, and frailty. Following years of drug development, levodopa is still the most effective drug for the treatment of motor symptoms. However, a wide range of other drugs are available with specific effects, contraindications, and complications. The treatment of geriatric patients with Parkinson’s disease is challenging and requires the cooperation of multidisciplinary teams. A careful assessment of a patient’s Parkinson’s disease symptoms, comorbidities, medication, vital signs, and resources is crucial for an effective and safe therapy. Laboratory tests can assist in the identification of contraindications for specific treatments. Identifying potentially inadequate drugs from prescription lists can lead to a better targeted treatment for geriatric patients with Parkinson’s disease. Future research should help develop a more evidence-based therapy of geriatric patients with Parkinson’s disease. For this purpose, randomized controlled trials of geriatric patients are urgently needed. An international register concerning issues of safer drug application and monitoring could help to implement a better treatment. Martin Klietz and Stephan Greten contributed equally. 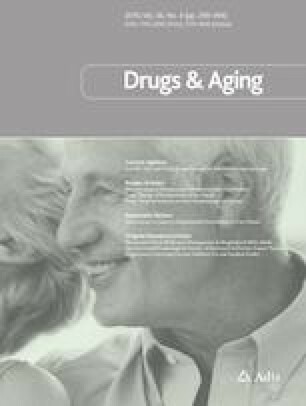 The authors thank the many collaborators and patients for vital and challenging discussions on the pharmacotherapy of Parkinson’s disease. Martin Klietz, Stephan Greten, Florian Wegner, and Günter U. Höglinger have no conflicts of interest that are directly relevant to the content of this article.